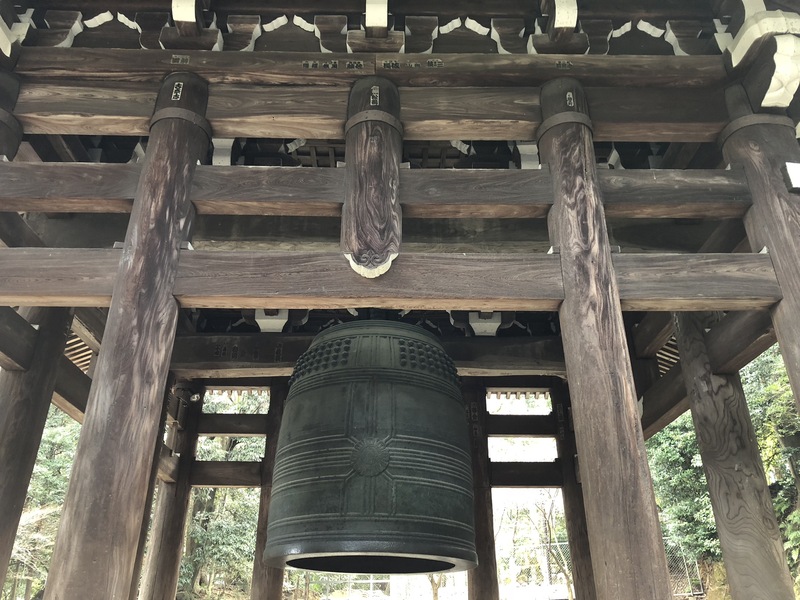 One of my students has a sword that was forged from what we suspect was a bell like this one at a Buddhist temple in Kyoto. It is pictured below. 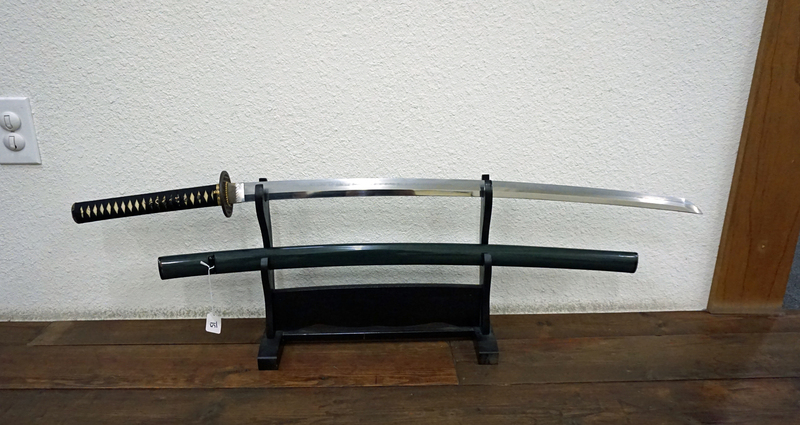 It is a beautiful sword and Furuya Sensei indicated that its smith, Masataka was one of the well known modern smiths who had studied under the two top smiths of the Showa period, Kasama Shigetsu and Takahashi Sadatsugu. The sword was made using metal from the main hall of the Narita Shrine in Narita. It’s amazing how a material like metal can be reforged to make something completely different. Intense heat, and the pounding out of impurities, tempering, and polishing are all labor, time intensive skills. It makes me think how each one of us can reforge ourselves through training. O’negai shimasu. Reflecting on the past is what allows us to move forward in an informed way. Much of culture operates from traditions. In our training, we must be mindful and make sure that we are carrying the traditions of the past and bringing them forward into the world with honor and respect. Tradition happens for a reason. It worked. We must study why it worked and then bring that function forward into our art, not try to press our art into the tradition. Can you understand? 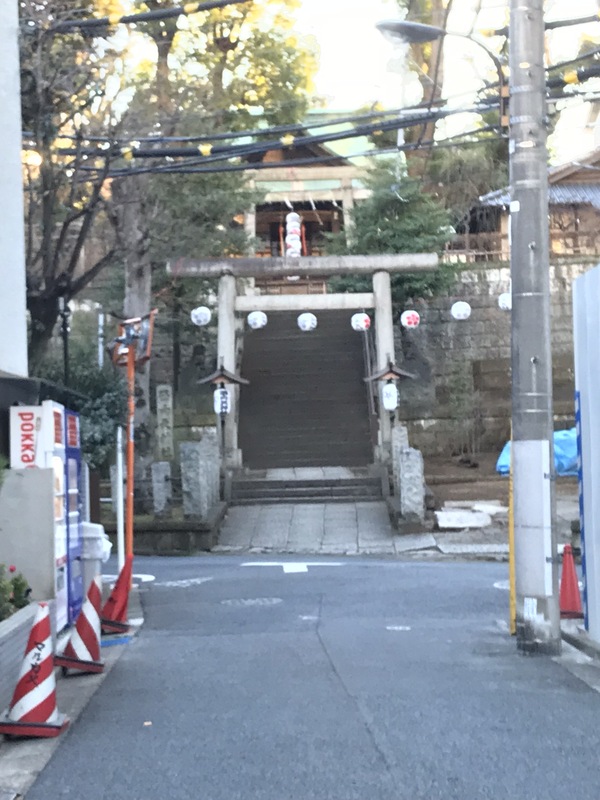 This temple/shrine in Shinjuku is on the way to Hombu Dojo. I passed it every morning on my way to train in 2011, and I made a little meander there this past winter. It is one of the most peaceful places, and, yet, it is surrounded by one of the most populated areas in the world. There are many temples and shrines all over Tokyo, it just takes a little walk off beaten paths to find them. That’s the first step. We get away from what everyone else is doing, and then look around. Then we have to climb the steps, wash our hands and mouths to purify, and then we are ready. It is the same in the dojo. Learning requires effort. Learning requires the preparation of our bodies for the actions we will perform, and our minds for the thoughts we will confront. This is one of the things that turn “jutsu” to “do”. O’negai shimasu. 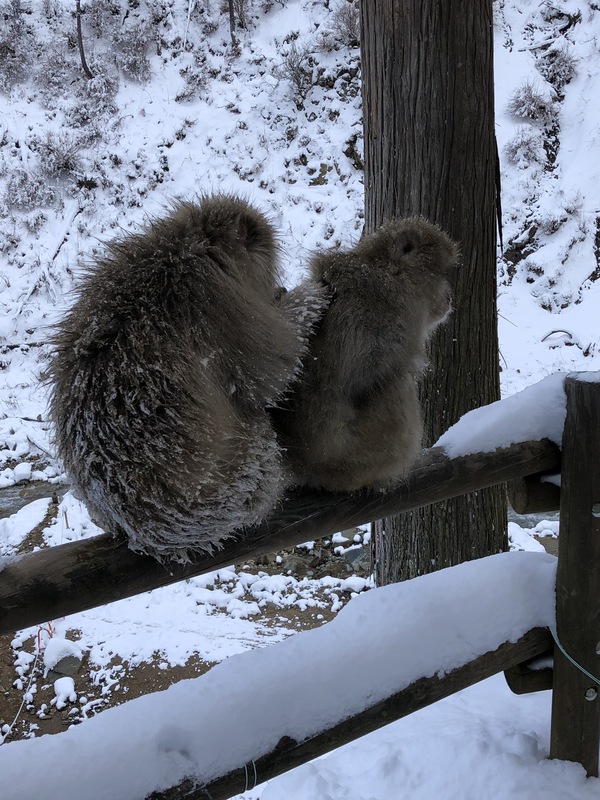 The Snow Monkeys in the Yamanochi region are really something else. The first time I saw them was in a film, Baraka. It was very calming to watch the monkeys soaking in hot springs. The hot springs, as it turns out, were built by the Japanese of the region for the monkeys to keep the monkeys out of their fields and from raiding food stores. The Japanese decided to feed the monkeys near the hot springs and the relationship was formed. In the United States, ranchers and farmers usually hunt and destroy the pests that would pick on their livestock/crops, but in Japan they created and support a space for the monkeys. Now, the Snow Monkeys are a tourist attraction in the Winter, and subject of documentaries. One of the behaviors that I observed was in the grooming habits of the monkeys. The monkeys groom each other without concern to social structure. There are relationships within the monkey group, and a social hierarchy, but the alpha male will groom any and will be groomed by any. They don’t view the task as being burdensome nor as beneath themselves. There is a social hierarchy in the dojo, but I have seen Izawa Sensei down on the mats wiping and cleaning just like everyone else. The chores in the dojo are a part of everyone’s tasks, not just white belts. The tasks in the dojo are just as much a part of the training as suburi, or tenkan exercise, and they create a community of mutual respect. Bushido to Mogido: Bushido means the “way of the Warrior,” or the samurai who stood for courage, duty, patience and loyalty. It was these qualities which made the warrior what he was and it was these qualities which made him a great martial artist as well. Nowadays, we do not talk about the “Way of the Warrior” or Bushido. 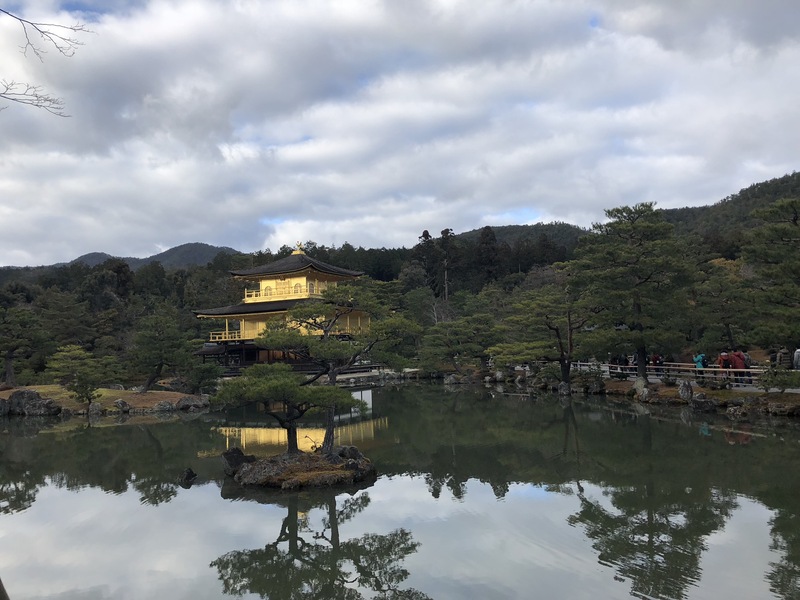 Nowadays, we are follow Mogido, “The Way of No Shame.” Occasionally, such as the other day, I meet old friends who still aspire to the Samurai and it makes me feel good. Perhaps, these ideas may seem dated and outmoded to most and may be they are not relevant in today’s world. Yet, I find great comfort in these qualities and still I want to see them in my students. Indeed, another name for the way of the warrior is the “way of humanity.” And ultimately, it is through the way of the warrior that we become true humans in the world. The other day someone quoted one of my Furuya’s Law: Great potential equals great hardship equals great achievement. Even today, I still find it so true.